Larry Page was born in March of 1973 in Michigan. He maintained an interest in computers for the better part of his life, and was encouraged to follow this interest by his father, Dr. Carl Victor Page, a professor of computer science at the University of Michigan. “The Star Trek computer doesn’t seem that interesting. They ask it random questions, it thinks for a while. I think we can do better than that,” said Larry Page co-founder of Google.com. These words can’t be any more true. Larry Page and partner Sergey Brin changed the world in a rented garage where they worked on a project called “The Anatomy of a Large-scale Hypertextual Web Search Engine,” or as they say in press releases for simplicity sake: “The Anatomy of a Search Engine.” They developed a method of “web-crawling” perform a a quicker method of web search. The Anatomy of a Search Engine used PageRank technology they developed earlier, that stored the nodes of previous searches efficiently- and placed pages more relevant to the search query in higher context than others. Page graduated in honors standing from East Lansing High School, and was accepted by the University of Michigan where he acquired a bachelor’s degree in computer engineering, and a master’s degree from Stanford. He took a leave of absence from his Ph.D. studies to further develop the PageRank technology, and later form Google. According to Forbes, Page maintains a 7.2 billion dollar net worth, making the tycoon the 55th richest man in the world, following closely behind Brin. Born in a house built by his grandfather and occupied by several of his extended family in the village of Sadulpur, Rajasthan, India on June 15, 1950, Lakshmi Narayan Mittal also known as Lakshmi Niwas Mittal is the epitome of a true rags-to-riches story. Mohan Lal Mittal, father of Lakshmi worked for several small rolling mills in India, and in the mid 1960s was hired by a Calcutta-based firm to manage their business. Shortly thereafter, Lakshmi began attending St. Xavier College, working on his bachelor’s degree in Business. While attending college, Lakshmi worked part time for his father in the steel mill. Upon graduating in 1969 from St. Xavier with a Bachelor of Science in Commerce, Lakshmi joined his fathers company full-time. Although his father enjoyed success in the business, he became discouraged with the Indian Government’s controls over private investment in large steel projects. This prompted him to seek out investors to begin a new steel company outside of India. In 1976, with $15 million in investment money, Lakshmi and his father bought a defunct steel manufacturing company in Indonesia, setting off a whirlwind of successful ventures over the next three decades. Lakshmi Mittal soon became famous as a turnaround specialist, buying up steel mills that were operating at a loss, and turning them into profitable enterprises. Each company he added to his portfolio of business acquisitions made his drive to succeed even greater. In 1989 he bought a government founded steel mill in Trinidad and turned it around from losing $1 million a day to doubling output and becoming profitable within a year. In 1992, he bought Mexico’s third largest steel producer for a reported $220 million, shortly thereafter, he purchased another Mexican Steel company and moved across the globe to Canada, Germany, and Ireland. In 1995, Mittal ventured to the former Soviet Republic of Kazakhstan, where he took over a state-owned blast furnace steel plant that was near failure and had not paid the employees for nearly six months. The Kazakhstan acquisition was renamed Ispat Karmet. The new factory doubled production within a year turning out more than 250,000 tons per month. This venture also led Mittal to form two new companies; Ispat International LTD and Ispat Shipping to provide support services to the Ispat Karmet mill. Later that year Mittal acquired a steel plant in Hamburg Germany, extending total production of all plants to more than 11 million tons per year. In 1997, Ispat International began trading on the New York stock exchange and the Amsterdam exchange. The company continued growth through acquisitions, and in 2004 Ispat International merged with International Steel Group Inc located in Ohio, USA. This merger was simultaneous with the merger of Ispat International and LNM Group to form Mittal Steel, thereby creating the second largest steel producer in the world, worth more than $22 Billion, with operations in 14 countries. Finally, in 2006 Mittal Steel acquired Arcelor SA, the number one steel producer in the world for $33 billion. The new company was renamed ArcelorMittal, and is now the largest steel producer in the world, with an annual capacity of over 100 million tons. Lakshmi Mitall, as of 2008, is Britain’s richest citizen for the fifth straight year, and received an appointment to the board of Goldman Sachs. In 2008, his net worth increased to more than $43 billion, making him the fourth richest man in the world behind Warren Buffet, Carlos Slim Helú and Bill Gates. Aside from sitting on the boards of various Trusts, he is also a well-known and active philanthropist. From humble beginnings in a village that did not even have electricity to a palatial estate worth over $130 million, this 58 year old steel tycoon could very well be known as the ‘Andrew Carnegie’ of India. Ingvar Feodor Kamprad was born March 30, 1926 on his family’s farm (Elmtaryd) near the village of Agunnaryd in Sweden. His amazement that he could buy a product and resell it for a profit fueled his ambitions as a young boy to become a successful businessman. Although he suffered from Dyslexia, this did not hamper his desires and aspirations to succeed. His very first venture into the business world started before he was even a teenager, when he found that he could buy matches in bulk from nearby Stockholm and sell them for a profit to his neighbors. He would use his spare time to mount his bicycle and peddle his wares, eventually adding other products to his ‘route’ of customers. These other products included fish, Christmas tree decorations, seeds and later ballpoint pens and pencils. Even as a young boy, he understood the principles of business and reinvesting his profits to buy more bulk merchandise to resell. At age 17, his father bestowed on him a handsome reward for doing well in school. With his newly acquired ‘wealth’, he further invested in his business and took a serious step by naming his new venture IKEA. He came up with the name from his first and last initial (IK) and the family farm and village initials for the EA. It was his hope people would remember he was Ingvar Kamprad of Elmtaryd, Agunnaryd. Establishing himself as a reliable business, he expanded his line of merchandise to include watches, jewelry, and other various goods. As he outgrew his ability to personally call on customers, he established a ‘mail-order’ business of sorts by hiring the local milk van to make deliveries to his customers. By the time he was 21, Ingvar decided to add a new line to his already growing and successful business. In 1947, he introduced furniture into the IKEA product line. Since there were plenty of local manufacturers nearby, he was able to keep his costs down by negotiating a deal with these manufacturers. Soon, his furniture idea overwhelmingly took to the forefront of his business, and in 1951, he eliminated all other merchandise in an effort to concentrate on furniture alone. Of course, this required a showroom, so in 1953, Ingvar opened the first IKEA showroom. Ingvar now had a suitable place to display for his customers, all his furniture. The showroom did well, however competition with other merchants started to make it difficult for Ingvar to work with the manufacturers. Nevertheless, he overcame these problems and continued to build the IKEA brand. Ingvar has published a few notable works, in 1976 he wrote of his IKEA concept of frugality and enthusiasm entitled, ‘A Testament of a Furniture Dealer’. He also wrote an autobiography with help from Swedish journalist Bertil Torekull. This book, “Leading By Design: The IKEA Story” further describes his philosophies on business, his life and the trials and triumphs of IKEA. Ingvar’s vision and ambition has been the driving force behind IKEA’s success, IKEA hires its own designers, who over the years, have received many rewards. Since childhood, Ingvar has always been frugal and a self-motivator, his stores reflect this in its ‘self service, assemble it yourself, and save money’ concept. In 2004, Ingvar had grown to over 200 stores in more than 30 countries with 75,000 employees and sales of more than $12 billion. As of 2008, he is the wealthiest European-born person and the 7th wealthiest person in the world according to Forbes magazine, with an estimated net worth of around US$31 billion. Howard Robard Hughes, Jr. was born on Christmas Eve (December 24) 1905, His father Howard Robard Hughes, Sr. started the Sharp-Hughes Tool Company with a partner in 1909. Howard, Sr. received two US Patents for his invention of a drill bit (the Hughes rock bit), that would be able to penetrate thick rock formations, allowing oilmen to drill further to reach the richest of oil reserves. In 1913, Hughes, Sr. acquired 100% of the company and renamed it the Hughes Tool Company. Howard Jr’s privileged life allowed him to attend the finest schools in the United States. With the passing of his mother in 1922 and his father in 1924, young Howard became majority owner of his father’s company. His uncle handled the affairs of the company, although Howard owned 75% of the company, until he decided to acquire the remaining 25% held by his other family members and getting a court to declare him an adult. Others handled the day-to-day operations of Hughes Tool, as Howard pursued a career in movie making, his true ambition. Shortly after marrying Ella Botts Rice (1904-1992), they moved to Los Angeles, where Howard took to a film career. His first tow films achieved great financial success and Two Arabian Knights, won an Academy Award for best director. From 1927 to 1932 he produced several hit movies and built his movie empire alongside some of the most famous stars of the era. His next pursuit was in aviation, he had received a junior pilot license when he was 14 years old, and always had a love for flying. In the early 1930s, Howard bought a used Army Air Corps racer, leased hangar space and hired designers and engineers to remodel that racer into the H-1, the fastest plane in the world. On 1932, he named his new venture Hughes Aircraft Company, a subsidiary of Hughes Tool Company. In 1935, he set the land speed record of 352 mph, (although two others disputed the record). He went on to set the coast to coast record by flying from New York to California in 7 hours 28 minutes in 1937, being named Aviator of the Year for this feat. On July 10, 1938, Hughes set another world record by flying around the world in just 91 hours, beating the previous record by more than four days. Taking off from New York City, he flew to Paris, Moscow, Omsk, Yakutsk, Anchorage, Minneapolis, and finishing his trek in New York City. He continued to build his aircraft, and became a defense contractor during World War II. His other ventures include acquiring a large portion of TWA airlines for $7 million, which, he sold for a net profit of more than $540 million several years later when the US Government filed an antitrust suit against him. In 1953, Howard formed a charitable trust, the Howard Hughes Medical Institute and transferred ownership of Hughes Aviation to the Institute. (Who subsequently sold it in 1985 to GE for $5.2 billion). He ventured further into space exploration forming two more companies under his name. In 1965, Hughes Early Bird satellite was the first communication satellite launched for commercial use, and in 1966, his Hughes Surveyor spacecraft was the first to make a soft landing on the moon. In 1966, Howard went to Las Vegas and speculated in real estate, eventually acquiring ownership of 6 casinos and several television studios. Howard handled his operations from the 8th floor of the Desert Inn Hotel and Casino, where he took up residence. His total acquisitions in Las Vegas had cost him more than $300 million. In 1970 he left Las Vegas and became a reclusive self-exile from the United States. In 1973 his companies were all combined under one corporate name, The Summa corporation (which in 1994 was renamed The Howard Hughes Corporation). On April 15, 1976, Howard Hughes, while en route by airplane from Acapulco, Mexico to a medical facility in Texas, passed away. The next 14 years would see his estate settled through more than 400 claimants and dozens of hoaxes to attain some of his nearly $2 billion fortune. Donald Trump began his business interest working with his mentor, his father, for five years. Through this he gained a huge knowledge of construction and some prestigious addresses gained the Trump signature. One such example is the Fifth Avenue skyscraper which is known universally. Starting with the renovation of the Commodore Hotel into the Grand Hyatt, he furthered with Trump Tower and several other residential projects. He later expanded into the airline industry (buying the Delta Shuttle routes), and Atlantic City casino business, including buying the Taj Mahal Casino, then taking it into bankruptcy. This expansion, both personal and business, led to increasing debt. Most of the news about him in the early 1990s involved his much publicized financial problems. By the late 1990s a change took place in his financial situation and fame. In 2001 he completed Trump World Tower, a 72-story residential tower across from the United Nations complex. Within that same year, he began construction on Trump Place. Trump also has an undisclosed stake in Trump International Hotel and Tower, a 44-story mixed-use (hotel and condominium) tower on Columbus Circle. Trump currently owns over 18 million square feet of prime Manhattan real estate. Needless to say the Trump name is infamous. He is the CEO of Trump Organization, a leading developer in the real estate market and the founder of Trump Entertainment, which operates gambling casinos. 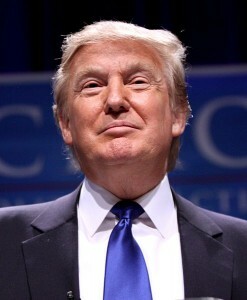 He has received a great deal of publicity following the success of his reality television show, The Apprentice, in which he serves as both executive producer and host. Just this year he received an honor for his contribution to the show by having a star placed on the Hollywood Walk of Fame. One of the things I find most impressive about Mr. Trump is his honesty. In a time when the world seems infatuated by prosperity too many individuals find cause to take advantage. Quite often you will find get rich quick schemes on television and advertisements. Often these involve real estate and claim no money is needed to begin. They support this by saying they became wealthy with the skills they are willing to give you at cost which landed them in realty bliss. Mr. Trump has commented often by acknowledging that it is, in fact, the funds obtained from individuals eager for wealth that likely complimented their financial status. He continues his speaking in a realistic and logical manner. One simply cannot fall into real estate. It is necessary to invest to some degree. While certainly he can provide people with skills needed to become wealthy in the field he doesn’t offer such knowledge in a dishonest manner. Perhaps that has something to do with the reason why he is one of the wealthiest men alive. His father Julian, a Lebanese Maronite from Jezzine, fled as a teenager to Mexico City to escape harsh Military rule. Julian established a dry goods store and worked in real estate to which he prospered. Upon his death moderate finances were inherited by his family. With the help of his father’s inheritance Carlos became a businessman and applied involvement in a variety of companies. These include telecommunications, retail, banking and insurance, technology, and auto parts manufacturing. He is the wealthiest in Mexican decent and one of the top ten richest men in the world. The financial success that Carlos has achieved has been from finding undervalued companies and making them profitable. Though he was criticized for raising phone cost soon after purchasing Telmex, he improved phone services offering local and long distance calls, mobile phone services, internet services, and a telephone directory. His business ethics repeated in several other companies throughout his life. He has been vice president of the Mexican Stock Exchange and president of the Mexican Association of Brokerage Houses. He was also the first President of the Latin-American Committee of the New York Stock Exchange Administration Council. Perhaps his most significant achievement was in building the Mexican financial-industrial empire, Grupo Carso, which owns, among other companies the CompUSA electronics retail chain. His notoriety has earned him not only financial reward but he has also been awarded a Merit Medal of Honor, the Golden Plate Award, as well as the Leopold II Commander Medal. In the year 2000, Carlos organized the Mexico City Historic Downtown Foundation, whose purpose is to revitalize and rescue Mexico City’s historic downtown. These revisions will allow for more people to live, work and find entertainment in the area. Carlos announced the creation of Chapultepec Accord, which is intended to persuade the development of Latin America through the building of human capital and structural investment. It calls for public-private partnerships to fund education and hospitals. This effort gained him significant admiration as well. Carlos Slim Helú branched out to mobile communications. Through his control of Telcel, he operates almost 80 percent of Mexico’s cellphones. Calos also had an impact on the United States telecommunications market when he was MCI’s largest shareholder, owning 13% of the stock.. In April 2005 he sold his stake in MCI to Verizon Communications. William Gates the III, the former CEO of Microsoft, for short period of time, had assets worth over 100 billion dollars, making him the world’s first centibillionaire. Today his assets are half that but he remains, as he has for the past decade and then some, the world’s wealthiest man according to Forbes. Gates was born on 28 October, 1955 in Seattle, Washington to a successful family and was able to attend a Seattle private school. His mother was a schoolteacher and his father a Seattle attorney. He developed interest in software and began programming at age 13 when the school acquired an ASR-33 teletype terminal from a mother’s rummage sale. Because of their exploits of bugs in the school’s second computer: a DEC PDP-10, owned by Computer Center Corporation, Gates and a number of other students, including Paul Allen- Microsoft’s co-founder, were offered unlimited computer time in exchange for debugging the company’s computers. After CCC went out of business, the students were hired by Sciences Inc. to write a payroll program. The students were successful and were received royalties on the program. Gates scored a close-to-perfect score of 1590 on the SAT and was accepted by Harvard. He studied pre-law but spent the majority of his time with the school’s computers. Here, he met Steve Balmer, who was to become a prominent business partner in Microsoft. Allen, in the winter of 1974, bought a copy of Popular Electronics. Its front cover read “World’s First Microcomputer Kit to Rival Commercial Models.” The picture displayed was a familiar image of an Altair 8080. Gates and Allen understood the computer market was erupting. They contacted Micro Instrumentation and Telemetry Systems, or MITS: and lied claiming they had developed a BASIC (a programming language). MITS were intrigued but Allen and Gates hadn’t developed the code, nor had an Altair for themselves or even had touched one. They worked day and night for eight weeks writing the code for their promised computer and with a single yoke, worked perfectly in a demonstration for MITS. Gates and Allen had already dropped out of college. When MITS purchased the rights to their BASIC for the Altair, Microsoft was formed. 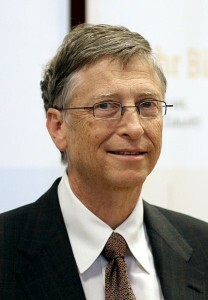 Gates announced in 2008 he will leave Microsoft, but will remain as a chair, to follow philanthropy. He will work extensively with the Bill and Melinda Gates foundation, that has already given 3.6 billion to global health efforts, another 2 billion to improve learning opportunities in North America, followed by about 900 million in various community projects, and annual events. In his private life, he is the father of three children and enjoys reading and playing bridge. Wipro Products Ltd was run by Premji’s father. In 1966, Pemji was completing his degree in engineering at Stanford University when his father died. He later was able to finish getting his degree in electrical engineering with correspondence courses. .Just 21, Premji took over the family oil business. Under Premji’s leadership Wipro Corporation began to expand and diversify. General Electric used Wipro to manufacture light bulbs, shampoo, baby care products and powder. By 1975, Penji started Wipro Fluid Power to make hydraulic cylinders and also truck tippers. In the 1980’s IMBM was kicked out of India creating a vacuum in the technology field. With Pemji’s interest in electrical engineering, Wipro was a natural entry into the IT field. Wipro was issued a special license from Sentinel. They began manufacturing hardware for computers and then branched out to software development. Wipro grew from a $1.5 million oil company to a $662 million diversified conglomerate. Premji believes in growth through delivering value with integrity to the customer. Wipro became the first Indian company to implement the Six Sigma program. It was also achieved SEI CMM Level 5 (the first software company to earn this distinction), and it also achieved PCMM Level 5 (People Capability Maturity Model), the world’s first organization to gain this level. Pemji has been awarded numerous honors. Honors in 2000 included an honorary doctorate by both the Manipal Academy of Higher Education in India and Roorkee and the Business Man of the Year by Business India. In 2003, Forbes named Pemji to two distinguished lists – one of the 10 people globally, who have the most “power to effect change” and one of the 25 most powerful business leaders outside the US, Also in 2003, and Business Week had Pemji’s picture on its October cover titled “India’s Tech King”. In 2004, his honors included top 25 billionaires who have done most to bring about significant and lasting social, political or cultural changes by the Financial Times, and as one of the 100 most influential people in the world. In 2005, he received one of his countries highest honors for a civilian, the Padmabhushana. He is a member of the Prime Minister’s Advisory Committee for Information Technology in India. Established by Premji in 2001, the Azim Premji Foundation focuses on quality education to build a just, equitable and humane society. 1.8 million children are partaking in various programs. The Foundation’s does not focus primarily on Information Technology education, but instead it tries to improve the quality of general education, especially in rural schools. Over 70 educational CD’s have been created for Indian schools. Alki David was born in 1968 in Lagos, Nigeria, West Africa, His family owned a Greek shipping and trading company. He attended the Stowe School in the UK as well as Le Rosey in Switzerland. He entered London’s prestigious Royal College of Art and graduated from the film program. Alki was never quite sure what he wanted to do as a young man. His employment history includes such jobs as a laboratory analyst for Coca-Cola, a fish-farm laborer, a commodities broker on world markets, a water skiing instructor, advertising salesman, scuba instructor, radio jock and a brief stint in the British Army. Although his past was uncertain, presently, he is number 47 on the Sunday Times Rich List with an estimated fortune of over ?1.5 billion. After graduating from the Royal College of Art, he ventured into movie production, which led him to Beverly Hills California in the United States. In 1991, he moved to California, where he founded and operated a post-production facility called Beverly Hills Video Group. For the following seven years, he operated his studio, most likely this is where he made the majority of his early contacts in the business that would later prove to be profitable in his acting and directing career. At 27 years old, Alki founded the non-profit BIOS organization to conserve, protect and educate on marine conservation around the Greek Isles. BIOS also sponsors an annual free-diving event held at David’s Greek-island home of Spetses. In 1998, he sold his Beverly Hills Video Group and returned to his London home. In London, he entered a joint venture with Duncan Heath, chairman of ICM Europe. The joint venture included a television production company and the now-famous modeling Agency, ICM Models. In 2004, Alki returned to acting in TNT’s hit mini-series, The Grid. He also is an accomplished writer and producer, having to his credit The Freediver and Fishtales. He has produced a series of mini videos on ‘youtube’ promoting a reality show, called ‘Killing the Cheeky Girls’ and prank videos he calls “Road to Hell’. Alki partnered with veteran film producer Elliot Kastner in 2006 to form 111 Pictures LTD in the UK. His independent production and international sales company to produce and market films. His most recent film, Fishtales, stars Kelly Brook and Billy Zane. Alki co-wrote, directed and starred in this family comedy-fantasy. Some filming took place on the Greek Island of Spetses where Alki has a home. The film premiered at the Cannes Film Festival in 2007 and released in theaters that August in the UK, USA and Canada. Today, Alki David operates and manages a media company, which he founded, Full On Entertainment. Full On has film and television production companies in Los Angeles and London, in addition, owns a recording label Rock label, which he distributes through Universal Music UK, a modeling agency and Internet content development. His most recent project is FilmOn.com, a video-on-demand website that netted more than £7 million in profits in 2008, its first year of operation.